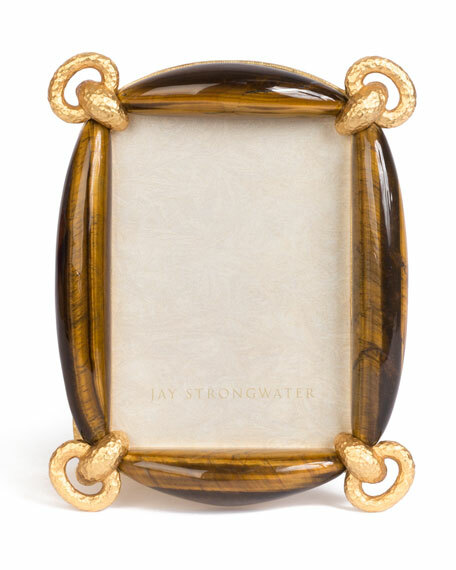 Jay Strongwater Blaine Tiger Eye Picture Frame, 3" x 5"
Jay StrongwaterBlaine Tiger Eye Picture Frame, 3" x 5"
Beautiful tiger stones create a frame. 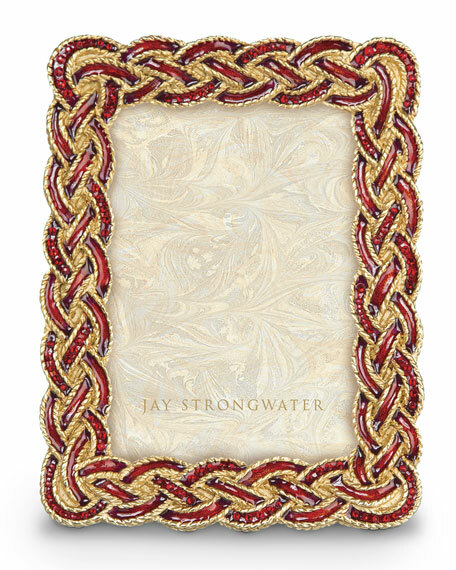 From the Precious Stones collection. Handcrafted frame. 5"W x 6.5"T; holds a 3.5" x 5" photo. Pewter with a 14-kt. matte-gold and light-brown antiqued finish. Hand enameled and hand set with Swarovski crystals. Imported. 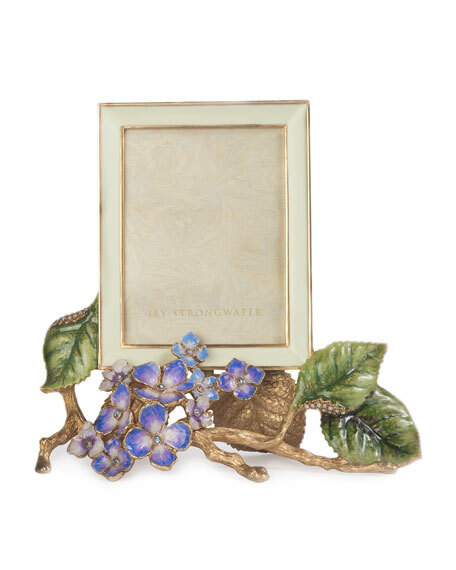 Handcrafted Gail hydrangea frame. 6.25"W x 6.5"T; holds 5" x 7" photo. 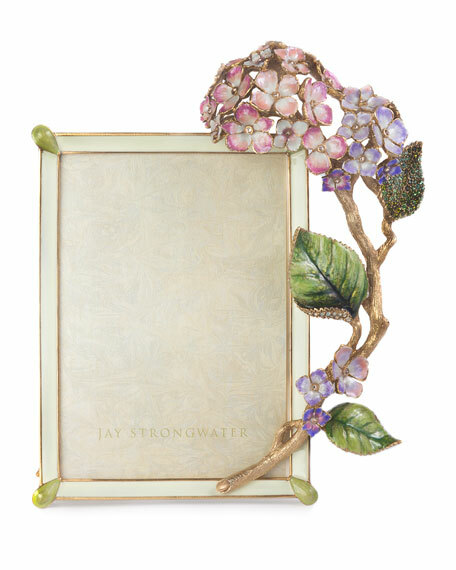 Hand-enameled pewter. 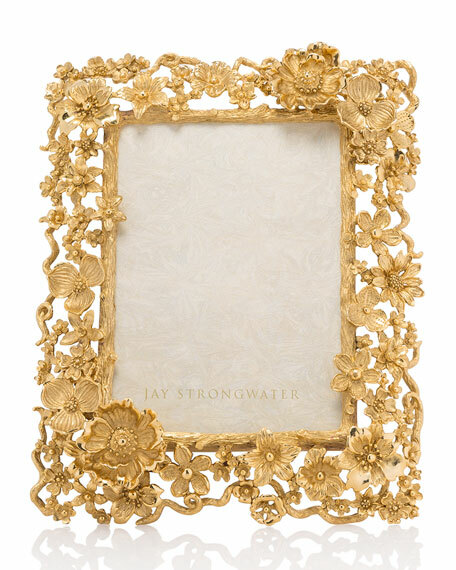 Hand-applied 14-karat gold detail with antiqued touches. Hand-set Swarovski crystals. Finished with a beautifully designed back. Made in the USA.